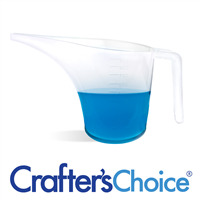 This Crafter's Choice Honey Melt and Pour Soap Base is DETERGENT FREE and LOW SWEAT. Contains REAL HONEY which is thought to be very high in natural antioxidants and anti-microbial benefits. We often hear that skin glows after using products made with honey. Sorbitol, Sodium Cocoate, Propylene Glycol, Sodium Stearate, Water, Glycerin, Honey. Sorbitol, Coconut Oil, Propylene Glycol, Stearic Acid, Water, Sodium Hydroxide, Glycerin, Honey. COMMENTS: I use this base for a line of products for customers who are sensitive to essential oils (which I use in most of my other lines). Customers love the scent! COMMENTS: I love this honey MP soap. I use it for drizzling on my CP soap and also for MP soap bars. This soap is great and does not sweat a lot. It melts easily and does not seize. The fragrance oils and colorants travel well through this MP soap. COMMENTS: Worked well for mp soap. Looked nice in honeycomb mold. COMMENTS: This honey base is a favorite for my charcoal and honey facial bars. No other base compares in that product. COMMENTS: Wonderful detergent free honey soap base. Lots of lather plus it melts, sets, and holds fragrance beautifully. A favorite around here! COMMENTS: I've used the DF Honey base for the Honey Facial bar and the honey & avocado mp soap--it does not disappoint! Even left unscented it is a great base! COMMENTS: Makes some awesome Honey Almond Loofah soaps. COMMENTS: This melt and pour is so easy to use and makes wonderful bars of soap. I sell out of these bars very quickly. "Detergent free honey soap "
COMMENTS: This has become one of my favorite soaps. I love honey anything and so glad I tried this one. Great product! COMMENTS: This base is so easy to work with and lathers better than all of the other M&P soaps. I will definitely keep buying this base, everyone loves it! COMMENTS: Really like this soap base for Honey Almond melt and pour soap. Has a very light honey fragrance and a slight golden color. The finished soap is beautiful with a nice silky lather. Will be buying more! COMMENTS: I love the lather and the natural smell to this base, excellent with oatmeal and almond FO's, I add it to the DF goat's milk base for a really luscious bar! COMMENTS: I'm always so pleased with all of the MP bases. This is no exception. Can't wait to use it again! COMMENTS: Honey is very beneficial to the skin. Works great with MP soaps. "Even without Fragrance it has a nice smell..."
COMMENTS: I use it for my soap samples combined with detergent free goat milk. I also make "curly's" with color out of this glycerine soap in the mold and pour over the Goat milk soap. Looks great and even without fragrance it smell delightful. (although I do put fragrance in the soap). COMMENTS: I really like this base soap and will definitely buy again. It lathers and feels great. COMMENTS: Great faint smell easily covered by FO and EO. Great color doesn't invade on additional coloring. blends well with other detergent free mp bases. COMMENTS: I love this melt and pour base! I use this for my honey facial bars as well as my honey body soaps, and with the fragrance I add its is amazing! My customers and I love the facial bars and how it make the face feel. "Enjoyed working with the Detergent Free Honey Soap"
COMMENTS: anything detergent free is my friend. Not drying and makes my skin feel 20 years younger. Coconut & Honey soap is skin friendly. COMMENTS: This is part of the detergent free sampler soap kit that I bought and I probably would not have ordered this by itself to be completely honest, but I am so glad I tried it. This is the base I have used most from the set that I bought and I am already almost out of it! I am so glad this base came with the set and I can't wait to buy more of it. COMMENTS: Good base for a good soap with a little bit of a honey scent. COMMENTS: Love using it for my melt n pour. Want to order again! COMMENTS: Used this for some bee hive soaps and turned out great. COMMENTS: I made a acne bar soap with myrrh gum powder, and just loves how it lathers. My son won't use anything else now. "One Of My Favorites "
COMMENTS: Love this mixed with Goatmilk soap base . Subtle scent of honey + nice lather. COMMENTS: This was my first time using this base and not one that I'd purchase again. 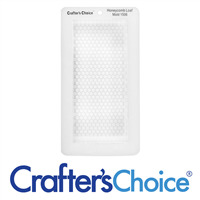 The product itself is good quality, just not what I was expecting. Very little lather and pretty much unscented. I was disappointed because I was hoping for a honey scent. "You wouldn't know it was honey"
COMMENTS: My soap is totally clear. There isn't even a hint of color. I guess based on the name "honey soap" and the description "Contains REAL HONEY" and "This soap is transparent, light yellow". On the plus side, the soap does have a good feel to it. It is not sticky feeling. "Fantastic base for my solid sugar scrub bars "
COMMENTS: I have tried many bases and I keep coming back to WSP detergent free! This particular base I use when making my solid sugar scrub bars. COMMENTS: Since I have started using this soap and letting customers know that it is detergent free my sales has skyrocketed. COMMENTS: Great soap for all skin types. "Detergent Free Honey Soap - 2 lb Tray"
COMMENTS: I would buy this by the case if it were available! One of my favorite bases! Love to line the mold with bubble wrap to give a honeycomb effect! Great seller! COMMENTS: This is a good MP base. I like that it's detergent free. I have used other honey MP bases that looked like honey whereas this is extremely pale. I added a little raw honey to it while melted, this deepened the color a little to resemble the look of honey. I like to use this as a "honey" drizzled over my oatmeal milk and honey HP soap to help keep the decorative oats from falling off. 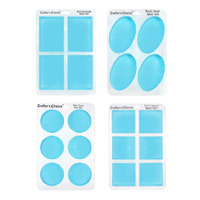 • Good Soap Base, multifunctional. COMMENTS: I'm so glad I bought this soap base. I love the fact that it is detergent free. It has a light amber color and I love how my skin feels after showering with it. COMMENTS: This soap performed beautifully! The color in packaging was a little yellowish but it came out very clear and was able to be colored just fine. Not a very frothy lather because it's detergent free, but still enough to get the job done! Excited to purchase more! COMMENTS: I like this base. Easy to melt and easy to unmold. "Don't even need to use fragrance"
COMMENTS: Love this for fall craft shows. If you need any fragrance, it need not be too much. The scent is wonderful by itself. "Doesn't look like image at ALL"
COMMENTS: I used the soap & really liked it, so I'd love to give it an excellent rating, but I just can't. Mine did sweat more than some of the other low sweat mp bases I've gotten from WSP & it looks nothing like the picture. There is absolutely no golden hue to it. It's more of a dingy clear. It's so off, I kept wondering if I actually got the correct thing. It seems more like the image of your hemp soap, but I've looked at the label on the container repeatedly, (as though it may change), but each time it said honey. I also didn't detect an aroma of honey as some of the other reviewers stated. Honestly, I've wanted this base so long & hav seem multiple pics of it alone & the soaps made in some of the kits from it & I swear, I'm not convinced that I got the correct thing. If I did, then boy those pictures or ultra deceiving & contributed to my let down when I compared what you have posted verses what I received. WSP Response: The color can vary with this soap base. It may be a little darker at times, or may be very light in color. It has to do with some of the natural ingredients used in the soap. The soap does not have any fragrance added but some people may smell a faint honey scent. COMMENTS: So easy to use! The Detergent Free M&P bases from WSP are by far THE BEST I've ever used. The bases I tried from other suppliers would develop a skin almost immediately after melting, no matter how I melted them. I've never had this happen with any base bought from WSP! This DF Honey base melts quickly and stays smooth & fluid while I stir in my color, fragrance, and other additives. My finished bars hold their scent & lather beautifully. This base performs somewhat like a clear version of CP: 1. the bars continue to harden up after unmolding 2. glycerin sweat beads don't plague my unwrapped bars. Will continue to buy this base! Thanks WSP!! COMMENTS: RIch lather and easy to work with. Will definitely order more in the future. COMMENTS: This is a great soothing soap that goes well with the summer honey flavor, or the milk, oats and honey flavor. I have colored it yellow to get a "bee" look, but it is beautiful as a golden brown, like honey. It is a little more tempermental than the solid bases. Hardening is a little slower and it can take several days for it to cure. But it is very worth it. Great base! "lathers nicely and easy to work with"
COMMENTS: My husband loves the bars I made with this base. It lathers nicely and leaves the skin feeling great! COMMENTS: I have tried the premium base and the detergent free base. I found that I preferred the detergent free soap because it was more moisturizing and provided greater lather. In contrast to the premium base I did find the detergent free base bar of soap to be less moisturizing and did not last as long. COMMENTS: I like the detergent free honey base. The difference between this one and the signature base is the scent and color. The detergent free is a very very light beige and its orderless. I love it. COMMENTS: I have been using the regular honey soap and love the smell of that so this the DF has no smell but it has a nice lather and feel to it so I will continue to add it to my line of products and add a honey scent to it. COMMENTS: bubbles up in hard water. We have well water and it works great! COMMENTS: Love this soap! I use it with my citrus soaps and it is an absolute treat! COMMENTS: This soap lathers nicely and is gentle enough to use on the face. COMMENTS: My sister gifted me the Honey Facial Soap kit containing this base. I got 12 bars out of the kit and they are adorable. The instructions were clear and easy to follow. I'm hooked. (If these sell at the Farmer's Market in the spring). We are beekeepers so I intend to use these in gift baskets with our honey products. The relief on the mold is quite distinct and rich looking. • High relief on mold. Leftovers. • The gloves, hair net are filler. COMMENTS: Even though this soap is considered Detergent free it has a great lather. COMMENTS: Popular amongst customers. Honey is hot right now and I feel like it promotes a healthy soap product. "Detergent Free Honey Soap - Great Product"
COMMENTS: This one I really, really like. There's absolutely no odor/smell to it! I blend it with the Goat's Milk Soap Base and I love it. It's great for the face! I make it fragrance free and my customers buy it again and again. I was not able to buy more during the year-end sale, but will definitely be getting more once it's back in stock! Great Product. COMMENTS: This is becoming a favorite. I tend to like bases without titanium dioxide. I use gold mica to color it and get a nice bar of soap. COMMENTS: This base really lathers up!! And very moisturizing to the skin also. Love it! It is especially good paired with layers of coconut milk melt and pour base. Talk about creamy lather!! COMMENTS: It is a nice base to work with. It would have been great if the main ingredient wasn't propylene glycol. COMMENTS: Really happy with this soap, lathers great, feels great! Will order again. COMMENTS: Love this soap! Very moisturizing and takes additives well, great color as is. COMMENTS: Love this product! Easy to use and creates the most beautiful soaps that feel so great on the skin. Love that it is sulfate free, which is something customers look for often these days. COMMENTS: Big seller! I also use this with the oatmeal soap base & make a layered oatmeal honey soap that goes over really great! COMMENTS: I used it to make MP soaps. It worked great. Released well from the mold. Long lasting bar. Love the almost clear look. I am a big fan of honey so this was a good base for me. COMMENTS: I like this base. It did take a few days to harden when I did a charcoal batch, which was weird. Way, way less issues with sweating and dew with this brand vs previous brand. COMMENTS: This is a wonderful base for when we get so busy and can not make our cold process. It is so much like our own. The real honey scent is lovely. The lather is great. Leaves no trace of film on the skin and you feel as soft as silky as a little kid's skin. Your skin also smells so clean and fresh. It really is a wonderful base. We have sold this for teens with problem skin. It seems to help tremendously. We love this base. Our customers love it. It takes FO & EO and colorants perfectly as all these bases do. A great price for a terrific soap base. COMMENTS: This soap base worked so well to help achieve a sweet gourmet bar. COMMENTS: This is my favorite melt and pour soap. Great lather and a delicate feel. COMMENTS: Absolutely love this soap base. It lathers nicely and feels great on the skin. Does not leave a "residue" feeling on the skin when rinsed off. Will definitely buy again to use in personal products and for gift soaps. COMMENTS: Use this in my pedi/ loofah soaps, it has nice honey color. Looks great with the loofah in it. "DF Honey of a soap !!!" COMMENTS: Wonderful !!! Used this when making my Mayan Gold Treasure Soap. Leaves your skin feeling silky and moisturized. I whistled through my last batch - now it's time to re-order !!! COMMENTS: I love this base. It has a nice mellow golden amber color and I only use it to make my glycerin "bee" soap, in my bee mold. The fact that it is detergent free AND low sweat is the best part! Just wished it was available in the 24 lb. block instead of the 2 lb....needs to be more economical...otherwise I'd buy more and us it in my other MP soaps too. COMMENTS: This has a very pale yellowish color but it takes other colors well and I haven't had a problem with it appearing "fuzzy" after a few days like with other clear soaps. It lathers extremely well and leaves my hands feeling silky. I intend to order a lot more of this base ! COMMENTS: Slight honey scent. Great lather and left skin soft with no residue. "You can feel the difference!" COMMENTS: The soap was almost a lotion and it holds fragrance well! I didn't even feel the need to use lotion after. My skin was so soft just from using in the shower! Definitely will purchase again! I have used most other melt and pour soaps but none left my skin feeling as soft and silky as the honey! COMMENTS: Whenever I am creating a new soap, detergent-free honey soap base is my go-to. In my eyes, the number one benefit of handmade soap vs. store-bought soap is that handmade soap does not contain detergent. This detergent free soap base makes that possible. Compared to the other types of melt and pour bases, I like detergent free the best. I feel it dries the skin out a little less. Comparing honey melt and pour to clear, there isn't much of a difference. Honey is lightly tinted, but is not noticeable if any coloring is added to the soap. "Detergent Free Honey Soap - 2 lb Tray "
COMMENTS: LOVE LOVE LOVE this soap base. The best of the best! COMMENTS: Love this base combined with honey almond FO and a little coloring to give the soap a honey color. Gift recipients have said this is a favorite and they like the feel of the soap on their skin. COMMENTS: Honey soap kit with Myrrh Gum Powder also added 5 ml Carrot Seed Extract...wonderful creamy lather and soft moist skin especially facial area! COMMENTS: I really like this soap. It melts so good. 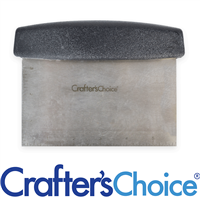 All crafters choice melt and pour soaps melt so evenly and quickly. The honey has a soft scent and makes a wonderful lather. COMMENTS: I made Black tie soap and honey soap and it holds scent well,lathers good, and retains color. The honey soap I did add a little yellow to it to get a soft shade of yellow and black tie I used black and they are both holding well, the black tie fragrance is holding the scent even after a couple weeks. "Detergent Free Honey Soap Base"
COMMENTS: My daughter-in-law and one of her boys has eczema, and their dry, itchy skin is very uncomfortable. I used this base to make a honey soap for them, and after just a week of use, their skin seems to be improving. Honey has been proven to be beneficial in many ways; I love being able to offer them a product that provides relief. Thanks for the DF Honey Soap Base! COMMENTS: Great color and wonderful on the skin! "Detergent Free is the way to go!" COMMENTS: I will only use the detergent free MP bases from WSP! After trying many bases, these are the absolute best I have used. Rarely any sweating and melts like a dream. COMMENTS: This soap lathered well and feels great! It is all I use with my bee themed soap molds. COMMENTS: This soap base is great for clear soaps. It sets very nicely. COMMENTS: I am in love with this soap for my special face soap. It leaves my face so soft and silky. Takes additives wonderfully! "just what i was looking for "
COMMENTS: Very affordable, and exactly what I was looking for. Free shipping, who can beat that? "Natural Soap for Beautiful Skin"
COMMENTS: I wanted to try making a gentle and natural soap and this was perfect. When you add any kind of herbal additive to it, the result just looks so pure & natural. It's not the prettiest or most decorative type of soap (although, I am just learning how to do this stuff so I'm sure it can be fancied up somehow), but it sure does make your skin feel so soft and refreshed. And it does seem to give your skin a sort of healthy glow after using. COMMENTS: I can't keep this in stock! I use it for my facial cleansing line with activated charcoal and love the way it cleans sensitive skin! My husband is my guinea pig when I try new soaps and he actually asked for this one for his personal use because it cleans without any residue feeling he said. My niece loves it for her acne prone sensitive skin. "Great soap for the face"
COMMENTS: Creates a nice lather, gentle on the face. My customers love this soap base. Low sweat. COMMENTS: To me most MP bases have a slight smell that sometimes cannot be masked with fragrance. Not this one! It is beautiful on its own, brings out fragrances well, and is my favorite clear MP soap. Will definitely buy again. COMMENTS: It's great to use for facial bars, and when you add extra honey, you can't go wrong. I've gotten no complaints but me not making enough LOL. COMMENTS: I don't like clear glycerin soaps but my mother swears by this one. I've been in the process of trying several MP bases and I really like the amount of lather I get with this base. COMMENTS: This soap base is good for making face washes. I has a good lather, cleans well and is moisturizing. I would highly recommend it for all soap crafters. COMMENTS: I got this accidentally as I was supposed to recieve the 24lb. But it smells amazing alone. This is gonna be a good one for all of my soaps. COMMENTS: I absolutely loved this soap base! I was fearful of it turning my colors but they actually stayed pretty true to what I was trying to make them! The soap wasn't as yellow as it appears to be in the picture (at least mine wasn't). It was nice and bubbly in my hands when I was washing them after all the cutting/melting/pouring I did. I think I prefer the 2lb trays as well, much easier to manage the soap. There really isn't anything I didn't like about it. COMMENTS: I especially love the humectant qualities of this soap. Leaves your skin feeling moist, not dry! "Your skin will love you!" COMMENTS: Used this to make a few batches soap - very silkly - very softening & easy to work with. Did use some half & half with the premium Aloe & Olive soap - used the Alkanet Root powder for color & turn out beautiful! Did add in several oils also & everyone who has tried has loved! COMMENTS: Lathers up with lots of bubbles. I like that it is semi clear and that it is made with honey. Molds well and smells fresh and clean even without added fragrance. I cut goat milk soap into small uniform cubes and embed it into the honey soap bar. A real eye catcher! I have come back customers with this one. COMMENTS: I was worried that my color wouldn't be true due to the honey tinted color to the soap but I was wrong! My soap color turned out true and honey is great from the skin so win win! COMMENTS: This is the greatest soap base out of all the detergent free sample back. This soap leaves my skin smooth and moisturized, has a nice scent on its own, takes scents and colors beautifully and best of all, the lather is amazing! Hands down the best base I have tried. COMMENTS: I used the honey soap and shea butter to make a sensitive skin facial bar. It doesn't need any color or fragrance and my customers are loving the effects. Most have noticed it reduced redness and oil, yet kept the skin moisturized and glowing. COMMENTS: I love this base! Very easy to work with and has little to no odor! None of my finished soaps sweat either so that is a HUGE plus! COMMENTS: Love this soap. Haven't used it in a while but hopefully it will something I will sell on a regular basis! COMMENTS: I absolutely love this honey soap!!! It's great alone or layered and fragrances mix well!! Will definitely be buying again. COMMENTS: This soap base is detergent free which means you don't have to shrink-wrap it. I would have liked for it to have the honey color as in the picture, but it was clear. To get it to be a nice honey color, I had to add a few drops of orange liquid pigment. But it turned out good. The soap is good. COMMENTS: This makes great special recipes... mixes great with oatmeal base for a true oatmeal and honey soap. Amazing and customers love it, too. Just add the Oatmeal, Milk & Honey fragrance and it is great. COMMENTS: Overall this base performed well.I have always loved honey,and would buy this again though with having honey in it I would prefer to have it a more moisturising without having to make additions. "Has a good lather and feel "
COMMENTS: I wish i had tried this base sooner. I really like it. Will definitely buy again. Has a good lather and feel. COMMENTS: its amazing, I have ordered honey MP soap before, but this one was almost clear and did not smell like the others, could be because it is detergent free ( a good thing). Other than the color and smell the soap turned out well. COMMENTS: Love the color of this base. This is the one base that I have had trouble with though. If you add any oil or honey to it it will not fully firm up. Other than that, I like it. COMMENTS: I made a great "Orange Blossom" soap loaf with this. I added calendula flowers and melted a small lotion bar (made with beeswax, shea and coconut oil) with the soap. I scented it with Orange essential oil. Turned out great! Soap turned out a more opaque color of honey but you can still see the calendula. Beautiful. COMMENTS: I really like how soft this soap leaves my skin. It has a great lather and I haven't had any issues with sweating. It has a mild scent and color so there really isn't a need to add anything. "Detergent Free Honey Melt and Pour Soap"
COMMENTS: I love this product. I would absolutely recommend it to others, and there is no doubt that I'll be buying more when I run out.Anywhere else, 2 lbs of melt and pour soap is $10. 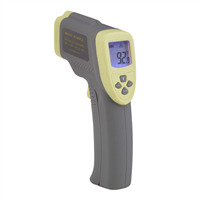 This site has a great product for a great price.I was also VERY pleased at how fast the shipping time was. COMMENTS: I am new and this is awesome! COMMENTS: I love the hardness of this bar!! "Hands down this is the best base every!" COMMENTS: We love it. On its own it is lightly scented and very moisturizing. Really melts nicely and is simple to use. Takes color well and fragrance oils blend easily into it. It sets up quickly and we have had no issues what so ever. We will be buying much more in the future. COMMENTS: This is another one of my best selling soap bases. COMMENTS: Lathers and rinses clean. This soap is a clear light golden color so suspended items can easily be seen. COMMENTS: I prefer the detergent free to keep my items I make as natural as possible. This is the best Honey melt and pour soap that I have ever used. "All around awesome soap base!" COMMENTS: I love all the detergent free soap bases BUT!! I used this one in conjunction with the Calypso Sun Fragrance oil, the 24 Carat Gold Mica Powder and the Calendula petals. It was amazing how the natural color and scent of the soap really made my recipe extra special. It changed the fragrance just a touch, and the Calendula Petals really stand out! I also used the sun cavities of the Sun & Moon Guest Soap Mold for lovely little sun-shiney bars that are simply beautiful! Outside of that I have never had a problem with this base sweating or taking EO-FO's, and for workability, this MP base gets my highest rating. I wish I could give it ten stars! COMMENTS: I could not make up my mind on which df base to use for facial bars. I have used the aloe and olive and the honey bases. I love both of them but the aloe and olive base has a very distinct (although nice) natural scent that slightly interfered with a fragrance oil that I used the first time that I use a M & P base. The df honey base has a much milder and lighter natural fragrance, so I used this for making my facial bars. They came out very well and I will use this base again in the future for making facial bars. "Nice with Honey Almond Scent"
COMMENTS: I made soap chunks of different honey colors as embeds, and added to the Honey M&P base. Both men and women like this. Skin feels soft and moisturized. Would recommend! COMMENTS: This is very popular and a very simple and easy soap to make. You don't have to add fragrance to it. I add a bit of lanolin to this soap base and use bubble wrap for a honey comb effect which is very cute. High quality base! COMMENTS: Very pleasant base. Performs very well. Mica shimmer throughout this base that make the most beautiful bar. This base will leave your body begging for more. Definitely one of my top favorite bases. COMMENTS: Sometimes you want to use a honey base for soap and this one is the bee's knees! COMMENTS: This base cures really well and stays hard. Love, love, love it! COMMENTS: I use this in my oatmeal, milk, and honey scented soap. It has a lovely golden honey color to it that really adds to the final product. Great lather and looks beautiful! COMMENTS: This is my new favorite m&p soap! I have 2 different variations I make with this. It lathers wonderfully and hold scent nicely. Left my skin feeling nice and soft. It's very gentle for your entire body. Please do NOT get rid of this soap! COMMENTS: I really love to mix this honey mp, with goatmilk & oatmeal mp. They make a great trio! COMMENTS: I made little face wash bars with this. I wanted to see how they'd turn out if I didn't add anything at all. They were perfect... not too drying, but very cleansing. I had four people test these with different skin types and it seemed to work great for everyone. I will be getting this base again! COMMENTS: This melts evenly. The slight color doesn't cause unexpected results with dyes. I love it in 2 color, 2 pour, soap molds. This is a fabulous base for Play-do soap. I would like to see a recipe or kit included in the WSP repertoire. I will definitely be a repeat customer although I'll probably purchase the larger block. COMMENTS: I love this product. It provides a nice lather, and my skin looks glowing after using it. It melts wonderfully and holds scent well. I used it in a glycerine based body scrub and it added such a nice element to it. I will never use another glycerine for my products! COMMENTS: Just love this soap! Color is almost a perfect match for early spring honey (I'm a beekeeper, honey has different colors at different times of the year), and the scent is very light. Not overly sweet, which is good. Holds fragrance very well, easy to work with. COMMENTS: This soap is great! It melts nicely and has a great, mellow smell of honey. COMMENTS: I melt this base and pour it into WSP square silicone mold. I don't add any colorants or fragrances. They honey soap flies off the shelf. COMMENTS: I like this products so much that I ordered more after the very first use. The scent is light, which my customers love and is easy to use. COMMENTS: I love this honey base,it's low sweat, takes fragrance and color very well. I made a oatmeal soap with this base. It's the best melt and pour base I have found. I will keep on ordering this base from here. "Almost have my pregnancy 'glow' back! " COMMENTS: This melts evenly and easily. This is my mothers favorite soap base so far! I let her try a sample of each and this one is her favorite by far! It left her hands soft & silky within two washes! We will definitely be buying a TON more! "Detergent-Free Honey M&P Soap Base"
COMMENTS: I like this base a lot, especially considering the fact that it is detergent free. It would be nice if the honey color/scent was deeper, but I'm more than happy with the fact that it is detergent free, which pleases all of my customers! I use it in several of my layered soaps. 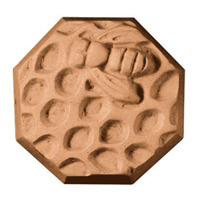 I sell quite a few buttermilk and honey soaps made in a bee mold. The honey base has enough color to show up as a separate layer without being completely clear. I combine a bar of this soap with a handknit washcloth, and it makes a great baby gift. I do not add additional colorants or scents to this soap to keep it gentle enough for babies. "Love the Honey MP soap!" COMMENTS: I use this when making my Oatmeal Honey soap, and it turns out beautifully! I also add a little WSP Honey Almond fragrance oil...perfect! COMMENTS: I recently made a facial bar and experimented with color. Wow, the color looks beautiful (it was a mica WSP of course) It has a good lather and it took the fragrance well. I will be purchasing more. "Melt & pour honey "
COMMENTS: This honey base is the best! Creamy lather & takes color and fragrance very well! Will be buying more of this very soon!